Amelia's school has every year a gastronomy week. Every student has to cook a delicious food and the teachers judge which one is more sophisticated and delicious. The winner gets a free ticket to Paris. Amelia is very excited about this and she wants to cook Asian Slaw. She is a talented cooker and with your help for sure she will win the contest. 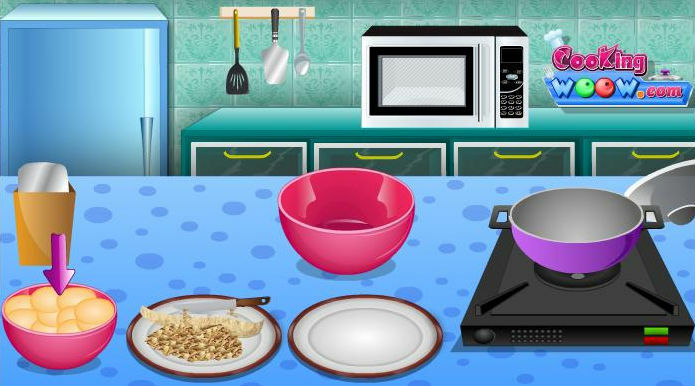 Help her prepare the ingredient, mix them and cook it on the right temperature. Good luck!